Gaudapada was one of the world's greatest philosophers in seventh-century India. 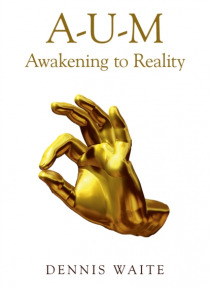 He invokes the mystical symbol ';AUM' (pronounced as ';ohm') pointing to the three states of consciousness (waking, dreaming and deep sleep) and the nature of reality itself. In the text on which this book is based, he writes that the waker, dreamer and deep-sleeper are like the roles that an actor plays at various ti… mes. All three states are the result of ignorance and error. Who we really are is the fourth aspect the actor himself. If you see or feel a ';thing', then that ';thing' is not ';real.' So the waking world is no more real than the dream. ';You' have never been born. Nothing has ever been created. Causality is a myth. Discover your true nature to be Existence-Consciousness, without limitations, undivided and infinite, prior to time and space. Incredible? Read...and be convinced by the irrefutable logic of Gaudapada.